The phenomenon of witch is known in all cultures including the African, the European et al. We read about witches in the English literatures in secondary schools and it is familiar across religions. A witch, according to the Oxford dictionary, is a woman who is believed to have magic powers, especially to do evil things. In Katsina in the late 50’s and early 60’s when we were below 10 years of age, incidences involving activities of witches occurred sporadically. Whenever a witch caught someone, if it was not addressed squarely, the next thing would be to find the victim dead. Usually the witch forgets its diabolical acts but the victim as the Hausa say will never forget. Like witches that devour and forget, we have the rapacious “looters” who ruled from 1999-2015 over the commonwealth of the country. The “earthquake corruptions” led by Obasanjo who equally rapped Atiku the PDP Presidential candidate in his book “My watch”. Faith in marabouts is akin to a witch as nothing but evil men who have the magic powers to alter what the Almighty Allah destines for someone. Now we have an amalgam or a bundle of “sai Atiku” die hards like Buba Galadima who believe, apparently from his pronouncements, that whether heavens will fall “he will make Atiku President”. This is indeed laughable, or is it the antics of the confused or one that requires a psychiatric help. I will settle for calling a Psychiatric doctor to examine Buba. Madness according to psychiatrists have 100 manifestations. The case of a mad man resorting to physical assault is only one of its manifestations. There are 99 other manifestations of madness aside going berserk and hitting people. This column has raised enough information and highlighted the “earthquake” looting that the 16 years of PDP misrule imposed on Nigerians. While next to them the many governors who for 8 years, took 7 months to rigmarole with the budget. The use of mercenaries who want us to “believe” they are SAN but most of who are shameless harbingers of manipulating justice they regard to promote jungle justice to satisfy witches like corrupt ruling class that hijack the three arms of government to satisfy their rapacious greed and sense of primitive capitalist accumulation that neither add value to the economy nor generate FX that will walk the victims out of poverty. Unfortunately, these schemers who as “witches” have consumed so many babies in the form of our common wealth together with their clients and they want Nigerians to forget. Here the PDP “witches”, that it was a mistake about the looting and the consumption of the children of the mothers who represent the electorate over the 16 years misrule. So according to these witches with Buba who has lost his head in his blind enemity and support for “looting” and “earthquake corruption” and the abuse of office as well as influence peddling lack the foundation to sell themselves to the Nigerian electorate unless the ignorant. They are desperate to devour the common wealth of Nigerians. As usual, some foot soldiers in the rank of some Ulamas in the north and Kaduna in particular, are deceiving us that the “looting” perpetrated by “fools at over 40,” selling a staunch believer in “marabouts” should be forgotten. Here in comes Buba Galadima. Empty cans, as the English say, make the most noise. Perhaps in the north there would appear to me no empty left since PDP came to power in the north with empty braggadocio except perhaps Buba Galadima. It may not be an exaggeration, therefore, to say that he ranks amongst the emptiest cans and a desperate noise maker in Nigeria. That Buhari has ignored him is apt. My prayers for Buba at close to 70 is that he repents before he dies a frustrated man. Buba was my classmate in 1971 at the School of Basic Studies (SBS) ABU. We were among the first set of the science students of SBS. Sometimes when he was the CEO Maritime Authourity we met at the Shagari Secretariat in Abuja. His approach seemed amiable as he generated confidence which later turned out to be mere pretence as if he was serious as he told the few around: “O! here was my classmate grey bearded like me and he will be the one I will give all my telephone numbers”. He gave me and we parted. Someone later said to me “it was all gimmicks” try the lines he will never answer you. I tried the lines he never answered. 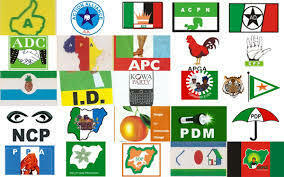 It is not that we do not like the likes of IBB, Atiku, Buba and Obasanjo. No it is their world views and characters. For it is not the snake that one does not like but its venom. Nemesis caught up with Buba and his boss Yahya Hamman from Kano when they held sway at the APC headquarters in Abuja. The nature of Buhari is that he has a good heart. Generally he is one who does not harbor wickedness to harm others. Although some say he is difficult in forgiving. However, not without a serious breach especially when it borders on “treachery” and “corruption”. These were the undoing that finally caught up with Buba and some of them. Of course. But the sayings of the Islamic Ulamah and the Hausa that haste leads to regrets while caution leads to success is instructive here. Buba could not pass the test in the long run. Now Buba in an interview with the Blueprint of Saturday 5-Sunday 6 January 2019/ Rabiul-Akhir 29-30, 1440 AH on pages 13-14 and again with the Sunday Sun of January 13, 2019 on page 30 is venting his frustrations out of the deliberate mischief and the treacheries against not only Buhari but many of us whose advices to Buhari they schemed out. These fallacies of Buba’s are clear manifestations of his uncontrolled tendencies and acting as a pawn of the Atiku camp. These self deluded ungrateful ruling class who appear to behave like “bundle of witches” have consumed our FX and so much from the public treasury, that they are playing the ostrich that Nigerians cannot see them as spent forces and have not forgotten the “earthquake looting” from the “spiritually corrupt” who we only wish to retire and die and answer for their atrocities in their graves. Lord. Unless of course they repent and return the “looted” funds to their rightful owners, the Nigerian common man and the animals and plants that they denied their rights. It is difficult to see that happening. Imagine the cluelessness of Buba in the Blueprint making slanderous statements to the effect that “Even if Atiku breaks into the CBN we will make him President”. How do you “make one a President” and a crook for that matter should he break the CBN? Let him dare break and he will go to jail in Kirikiri and the heavens will not fall. After all Buba’s mentor Abacha threw Obasanjo in prison and he transformed into an aproko fish and heavens did not fall. How could a Buba in a democratic process and governance as an errand boy make Atiku President? That is mere delusion. Above all, is Buba a Muslim at all to make a reckless statement that “we’ll make him President”? Is he now turned a marabout that can “defeat” or “frustrate” Allah/God’s plan to enforce His will? If so then he is not a Muslim and is a lost case. Just imagine this ignorant statement. Be careful Buba. Is Buba challenging Allah (SWT) that he will live to see February 2019? The Qur’an is clear to believers in A-Kahf 23-24, to never say I will do so and so tomorrow without saying in sha Allah or “If Allah wills”.